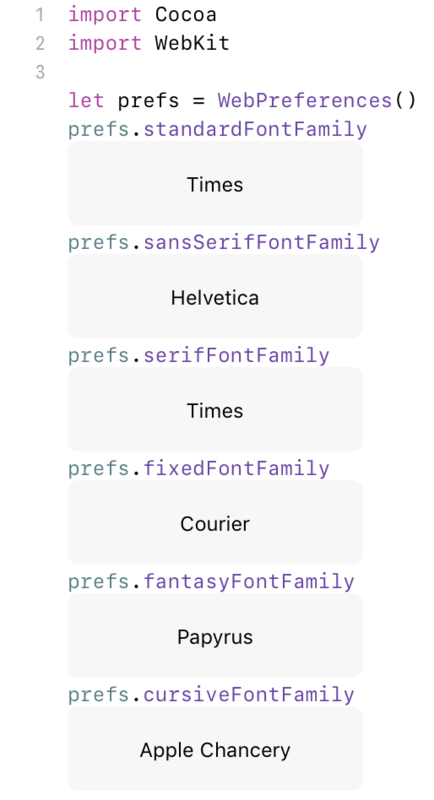 I am working on a Processing project for fun and I wanted to use the cursive font that is usually called in HTML and everything else, "cursive" or "Cursive," but in Processing it does the default sans-serif (Arial I think). Does anyone know what the actual name of this font is? "Times" and "Marker Felt" do work, but "monospace" also doesn't. Post-scriptum: I did check font book and wikipedia, but not thoroughly.